Whether you Tweet for personal or business reasons, you don’t have to be on Twitter for long to realize you need followers. Followers give you someone to Tweet to—not to mention enhance your social authority online and extend your scope of influence, which can lead to new leads and eventually new sales. So how can you find new followers? 1. Use Your Real Photo. A profile photo tells Twitter users that you’re a real person, not a spammer, and this makes them more likely to care about what you have to say. Even companies can use person headshots (example: Mashable features Pete Cashmore, for example), although a strong logo also works. Add your city or region to your Twitter profile in order to make it easy for people in your area to find you. What defines you or your brand? How are you distinct from other competitors? Name your specialty or area of expertise in your bio so that people can easily identify you, whether you’re a company that specializes in spray dryer manufacturing or designers of wedding invitations. Rather than Tweeting just about what you’re doing, Tweet about this: what’s got your attention? Point users to interesting articles and content, and you’re more likely to draw a larger audience. When you link to articles or Retweet posts, try to add a bit of commentary of your own as well. This adds interest as well as information. The people you follow on Twitter must include people in your industry, people who are interesting, people relevant to your subject matter. 7. 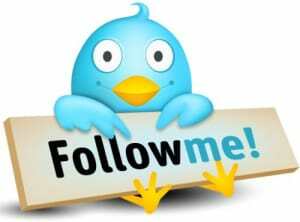 Follow friends of friends. Once you’ve built solid connections with other users and see you share interests and topic matters, start following the people they follow, too. Be discriminating—if they follow only friends and family members, you might not want to follow their list, but if they follow users that look interesting, tune in. Most of the time on Twitter, be talking about things that relate to your personal or business brand. That means if you’re a company that specializes in the merchant processing restaurants need, you’re not Tweeting about politics or what you’re having for lunch, not unless those things relate to your business. Instead, you might post news, stats, articles, accomplishments, etc. Reply to other users with helpful or interesting comments relevant to what they’ve said to build community. 10. But Don’t Only Respond to Others. Twitter isn’t an instant messenger; if you want to have a one-on-one conversation, take it to direct messages or email. Overtweeting (say, more than 20 times a day) rarely wins fans and often annoys followers. Using hashtags can increase your Twitter exposure because every hashtag links to all the other similarly tagged Tweets. Then, when someone who doesn’t already follow you clicks on the hashtag you mention, they can find you. Along with using tagged hashtags, work relevant keywords about your company and its industry into your Twitter content. Use Twitter’s search feature (search.twitter.com) to locate people talking about your industry or area of expertise, and connect with them. 15. Leverage Other Social Media Profiles. Link to your Twitter profile from other places where you’re active online like your blog, your Facebook page, your YouTube profile, Google Plus and other places. Offering great prizes is a surefire way to get attention fast. Run a giveaway on your website and make following you on Twitter one of the ways to enter. 17. Add a Twitter Widget. By placing a Twitter widget on your site, you not only direct people to your profile but also display your most recent Tweets, increasing interest and exposure. 18. Link to Twitter in Your Email Signature. Include your Twitter name in your automatic email signature to expose your profile to everyone you regularly communicate with. 19. Link to Twitter in Online Bios. 20. Tweet During Peak Times. By Tweeting during peak traffic times, you can gain more exposure, which can lead to more retweets and responses, which can help bring in more followers. 21. Participate in Trending Topics. Check out Twitter trending topics and try to participate in those discussions to get more exposure and net a bunch of new followers in the process. There are various online directories of Twitter users, all of which catalog people in a way that can mean more exposure. Consider signing up for Twiends, WeFollow or Twellow. When Twitter users meet up in real life, it’s called a Tweetup—attend one of these events to network and strengthen connections. By advertising on Twitter itself, you can gain new followers exposed to your ads. Twitter’s advertising feature includes promoted tweets, promoted trends and promoted accounts. 25. Advertise on Twitter Counter. With Twitter Counter, you pay for the number of pageviews that you want to be promoted, on either a monthly or one-time basis. Your profile will be featured in order to gain popularity and followers. What do you think? Could these Twitter tips help you boost your Twitter following? What other strategies have you tried and see to be effective?